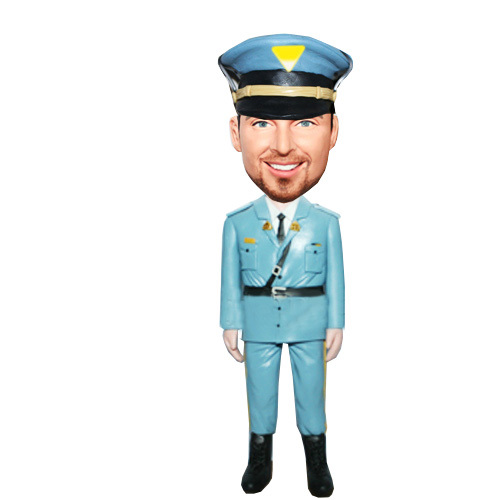 Dressed in a military uniform with hands at sides,wearing badge at collor, this custom male bobble head is a military officer. 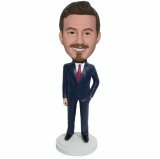 Because of people like you ,can we have a safe environment to live and to enjoy beautiful life.This customized bobblehead will make your hero look perfect.Why still waiting? Time to give him a big smile by this bobble! 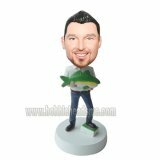 Change the clothing for free,You only leave the message when you place the order.We can produce the bobblehead as per your requirement and picture.